A startling and poignant memorial to Jewish victims of the Arrow Cross in Budapest during World War II. Innocent men, women and children were ordered to take their shoes off before they were shot and killed. 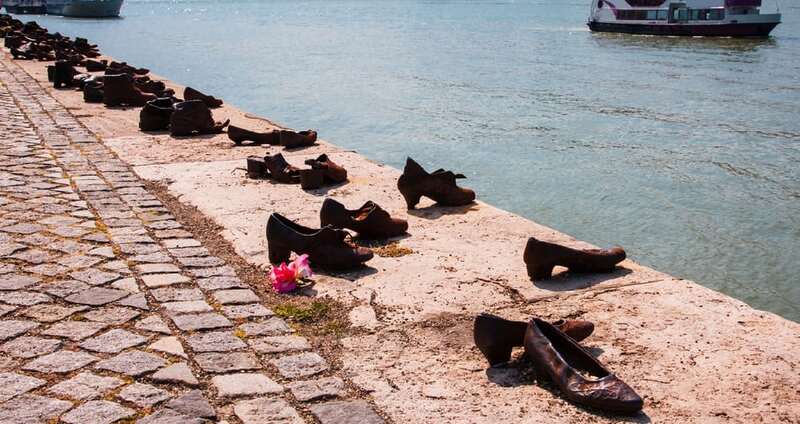 The monument contains 60 pairs of iron shoes.